This can happen, for instance, when the government expands a program like Medicaid. As agency workers spread the word among newly eligible populations, the campaign can turn up individuals who qualify under the old rules – hence they come out of the woodwork. The phrase gives me flashbacks to my first graduate school apartment, where cockroaches crawled from the walls and crevices in the kitchen. Even thinking about it gives me the willies. But that’s beside the point, and it in no way implies that I liken welfare recipients to gross bugs. 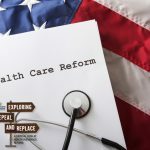 What is relevant here is that public policy types also worry about the opposite problem of finding and enrolling newly eligible beneficiaries – a topic addressed by some timely research in Missouri, coming as marketing efforts begin for the health insurance marketplaces established under the federal Affordable Care Act. Open enrollment for the marketplaces begins Oct. 1. Much like websites that compare airfares, the intent of these online marketplaces is to give consumers choices among competing health insurance plans. The federal government will subsidize plans for people making as much as 400 percent of the poverty level. You would think people would parade to this like ants at a picnic, but that is not necessarily the case. As polls have shown, many Americans haven’t a clue about some of the most basic elements of the health-reform law. Other people may simply shrink from a complex topic they know nothing about. Another wrinkle is that upper-echelon earners are typically outside the safety-net network, which is well-schooled in extending services to poor communities. According to that recent research, released last month by the Missouri Hospital Association, advocates would do well to follow the roadmap Missouri laid out when it expanded its children’s health insurance program (CHIP) in 1998 to children living at up to 300 percent of the federal poverty level. Local health care leaders I spoke with agreed with the report’s findings. Scott Lakin was an architect of the CHIP expansion while serving in the Missouri General Assembly, and he now leads the Regional Health Care Initiative in the Kansas City area. He said the state made a brilliant move in marketing CHIP by partnering with McDonald’s, which advertised the program on tray placemats.